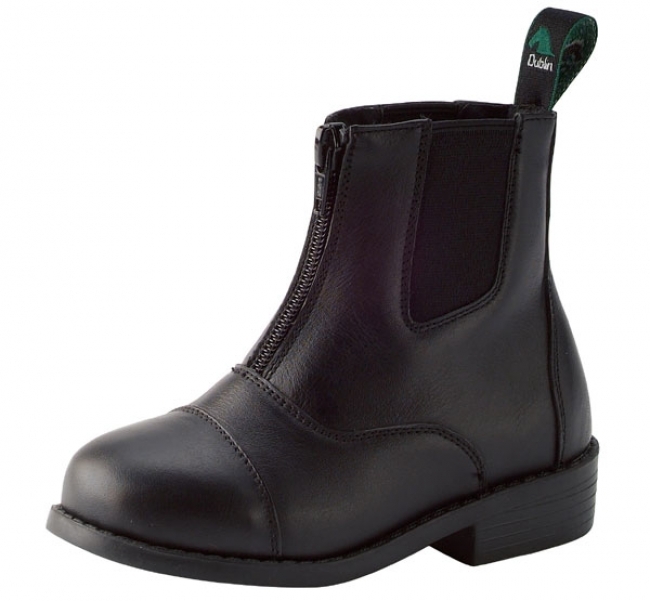 These children's paddock boot are available in rich black or brown durable full grain leather at an affordable price. Leather helps the foot to breathe better and this is a great starter boot. Thermo plastic resign sole that provides maximum durability and high impact absorption. Wickable lining is moisture absorbing and comfortable. Laces offer more of a close fit.